Brain study reveals that the more we use our brain when we exercise the better results. Study shown increased level of cognitive levels and a better integrated brain. From the New York Times: Allow a laboratory mouse to run as much as it likes, and its brainpower improves. Force the mouse to run harder than it otherwise might, and its thinking improves even more. This is the finding of the experiment carried out by the research team in National Cheng Kung University led by Prof. Chauying J. Jen and Prof. Hsiun-Ing Chen from Department of Physiology of College of Medicine. What happens to our physical Body? The more muscles we use the better physical results we will get. A “total-body exercise” is an exercises that work more than one major body part or region. For example: Raise your arms and heels at the same time. Why is this exercise so valuable? Look at research. It is now more obvious that our bodies are far more connected than we have given them credit for. We need to exercise the mind and the body. There is some good information out there that highlights evidence that people who use their minds more actively rather than living their life in a highly passive manner (ie. 4 hours of television watching a day on average per american) tend to suffer from degenerative brain diseases much less when they become older (ie dementia, Alzheimers). So keep up your workouts, but don’t forget about the mind! Read, plant a garden, play problem solving type games, just don’t let it wither away because like your biceps, the mind will atrophy. thanks so much for your great comment! I think you would love my upcoming book! You are tackling a really exciting debate nowadays The brain is responsible of movement and the more we use our brains the better cognitive and physical results. What i have studied with neuroscientists are the complicated circuits in the brain responsible for movement. 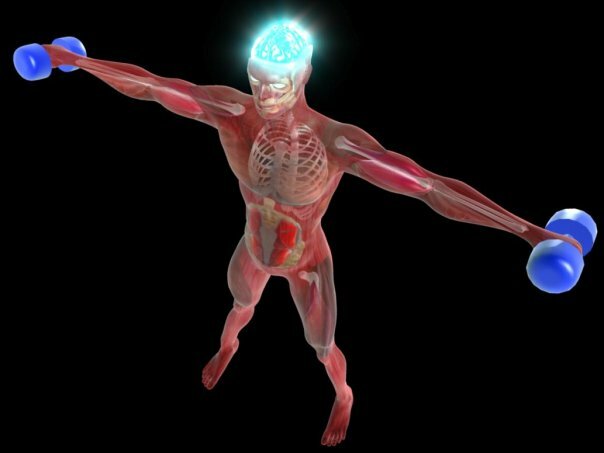 When you challenge your brain with specific movements you are activating the brain from left to right from front to back and that is my area of research. Regarding the second comment and many people confuse Robert, what is the Mind, what is the Brain? Robert what can you touch the mind or the brain? Exactly you can touch the brain not the mind. The brain as an organ it has a functionality that we are still researching today. latest studies of the brain are really promising.What you are referring is to the brain more than to the mind and I couldn’t agree more. According to one of the most important neuroscientists today, Eric Kandel, he says that: “Mind refers to higher functions such as emotions, thinking and the brain is what makes us think, remember, learn, move, solve a problem, plant a garden and more. Robert this is similar to when you get in your car and say: I am driving up to Boston (Mindset), but the brain does the heavy work such as focusing, concentrating, multitasking, decision making and more. So in your case your Mindset says: lets keep our Mind active but the brain is actually the one dong puzzles, brain games or planting a garden since all those activities require a high degree of concentration and decision making.